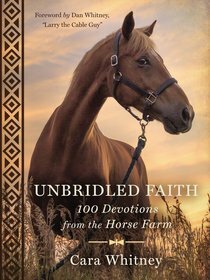 Explore the timeless wisdom of God's Word through this beautiful horse devotional. Through years spent working with these majestic animals-Cara Whitney has learned countless spiritual lessons that have brought her closer to God. From a pony with a sweet tooth, find out why we should be glad God doesn't answer yes to all of our prayers.